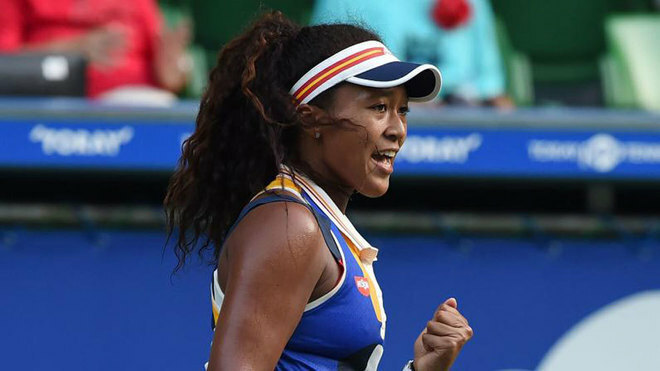 Japanese teenager Naomi Osaka fought back from an early break to stun Venus Williams in straight sets and move through to the quarter-finals of the Hong Kong Open on Wednesday. Osaka, who prevailed 7-5 6-2 for her best career win by ranking, double-faulted early in the opening set to hand seven-times grand slam champion Williams the advantage. The 19-year-old broke back and levelled at 5-5 as the world number 5 looked to serve for a 1-0 lead. Osaka then pounced on Williams’s serve to break again and took the first set. “I feel like even if I hit one semi-short ball she would come in and crush it, so I had to play really well,” Osaka said after the match. Ranked 64 in the world, Osaka began to dictate terms in the second set, racing to 5-0. Williams held her serve to avoid the humiliation of a bagel and broke Osaka to make it 5-2. A double fault by the 37-year-old handed Osaka two match points and the youngster took the first in style to gain revenge for her loss to the American in the third round at Wimbledon. Williams has already qualified for the season-ending WTA Finals in Singapore. Others who have booked spots in the Oct. 22-29 event are Garbine Muguruza, Simona Halep, Karolina Pliskova, Elina Svitolina, Caroline Wozniacki and Jelena Ostapenko. Meanwhile, Russia’s Anastasia Pavlyuchenkova powered past American Jacqueline Cako 7-6(3) 6-1 to set up a clash with Osaka, while seventh seed Daria Gavrilova of Australia rallied to beat Shelby Rogers of the U.S. 6-1 2-6 6-2.